My sister emailed me to mention Yotsuba, a manga she is enjoying with her daughter. I will definitely check it out (thanks Caryn). 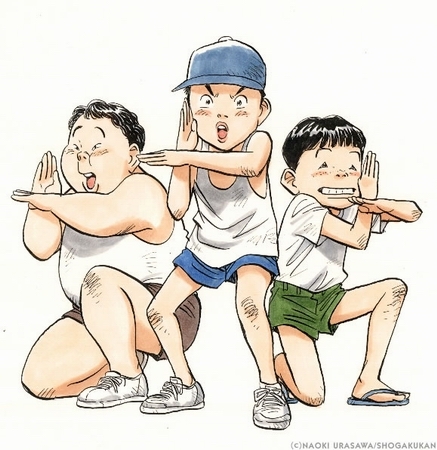 I’m not a manga addict or anything, but I love comics and I’ve enjoyed reading manga from time to time. Here are some that I was able to recall. Note: I read (or tried to read) some of these in Japanese but I’m sure most of them are available in English too. 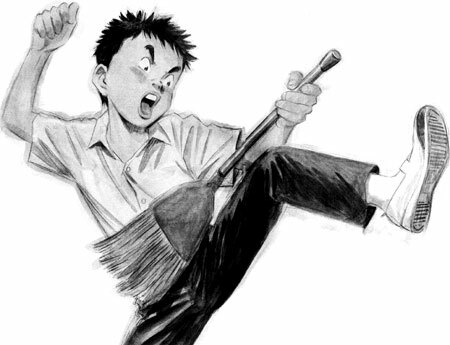 I love Urasawa’s illustration style & characterization, and I really enjoyed the story. It’s always interesting to encounter cults in comics. Definitely not for small children, btw. The amusing adventures of a quirky newspaper food columnist. 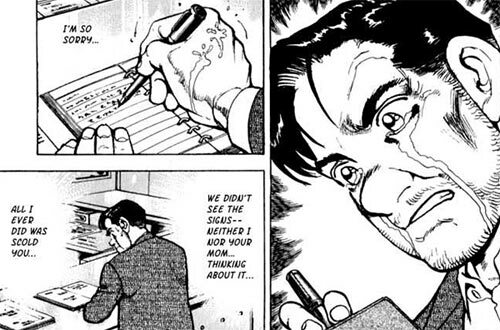 This manga began in 1983. 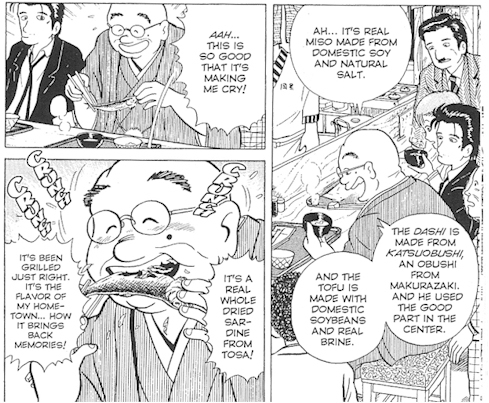 Worth a read if you enjoy a particular combination of light humor, comics, and food writing. 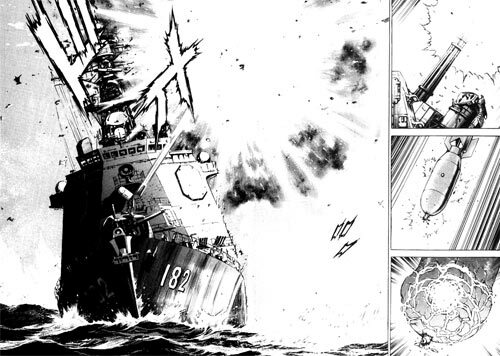 A modern Japan Maritime Self-Defence Force missile destroyer (navy ship) is time-warped back to WWII. Very amusing series with interesting historical factoids in abundance. 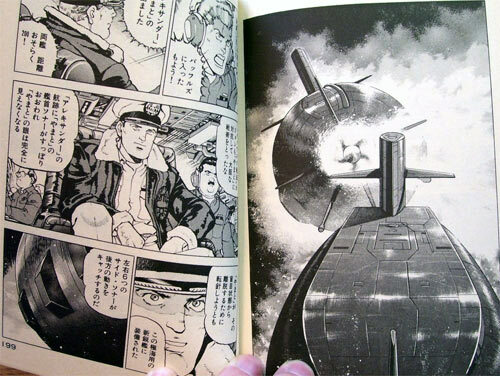 A renegade takes control of the latest nuclear missile submarine jointly developed by Japan and the U.S.A. and declares it an independent state. Great tension and intrigue. “Takeda is diagnosed with cancer and feels that he has nothing to live for. His wife also had had cancer, had died of it in fact, and his only daughter has been missing for fourteen years. Good story, fascinating to read. 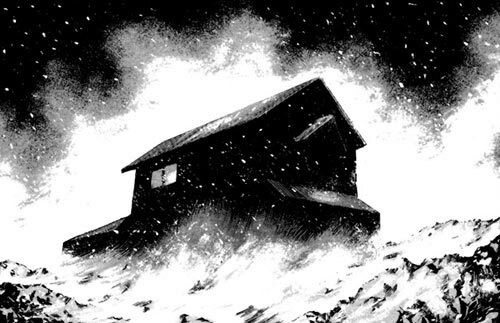 Two men are stranded in the stormy, snowy mountains. After being injured, and thinking they are both about to die, one of the men has a confession for the other: He committed a murder. His fear turns out to be baseless—both men are saved, and now they must deal with the weight of what has been revealed. By Marc Carson, Friday August 24, 2012.